Happy Mother’s Day From MeloTel! This Sunday marks a very special day for moms all across North America and many other parts of the world. 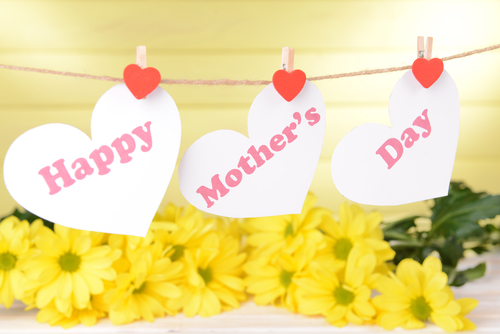 Mother’s Day is on the way and the entire MeloTel team would like to take this opportunity to send a very special tribute to each and every mommy out there. We wish you all a very happy Mother’s Day and wish to thank you for being the inspirations that you are to your children! We know, of course, that many of MeloTel’s clients are mothers. We’re well aware of just how much hard work and dedication goes into being both a business owner and mother at the same time. We tip our hats to these amazing women and thank them for showing us that there’s no such thing as “impossible”. Earlier today, members of the MeloTel team took some time to share their thoughts about the very special women in their lives. “I can’t say enough about what a great mother I’ve been blessed to have,” says Daniel Faraldo, our Editor In Chief, “She’s been my best friend throughout my life. Always someone I could depend on for love and support when I really needed it. My mom is someone that I can always come to with my problems, but also get in touch with just to share a good laugh. She often makes my day. “Happy Mother’s Day to the woman I love,” says MeloTel’s Founder and CEO, John Meloche, “I hope you feel every day how grateful No man succeeds without a good woman behind him. Thanks for being there through the tears, laughter and dirty diapers. Thank you for all the ways you go above and beyond every day for our family. On behalf of the entire MeloTel team, we’d like to wish each and every one of you a very Happy Mother’s Day this Sunday!